Maulana Shah Ahmad Noorani Siddiqui Rahmatullah ‘alaih is regarded as a scholar, exemplary leader, statesman, teacher and one of the chief corner stones of Muslim unity in the second half of the twentieth century. 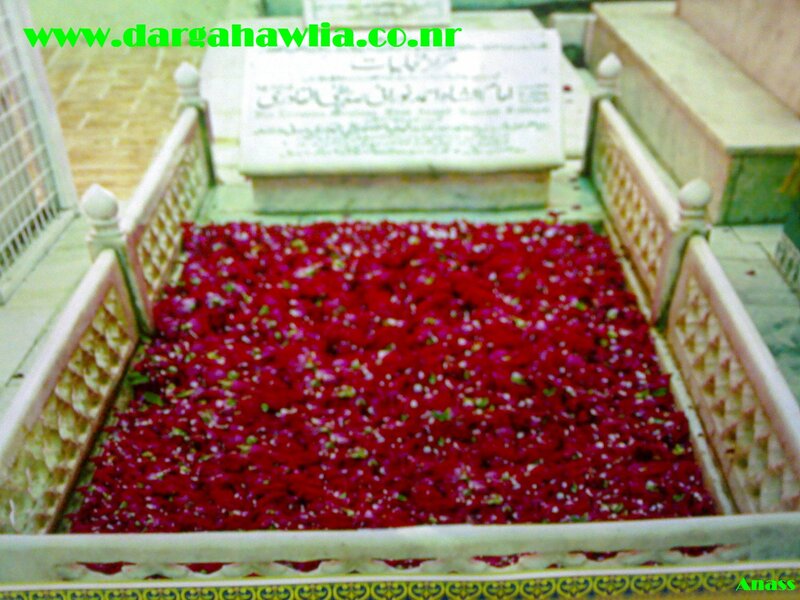 Wherever he traveled, he won the admiration of both scholars and ordinary people because of his commitment to theSidiquian virtue of remaining truthful to the original teachings of Islam and in being able to differentiate between haq (truth) and batil (falsehood) despite the circumstances he found himself whether be it personal or in the matter of state or national interest. He was given the title of ‘Qaid-e-Ahl Sunna’ or Leader of Sunni Muslims because he was the most capable and respected leader of our time. His ideas and thoughts on the concept of Islamic nationhood was so far ahead of its time, that it is hard not to view him as one of the architects of what the the modern Islamic state should be; that is, a progressive Islamic culture which embraces the positive elements of science, technology, efficiency and human dignity while remaining committed to the core Islamic principles of spirituality (tassawwuf) and moral value (akhlaq). Maulana Noorani has always stated that Muslims societies can be easily eroded if Islam is only interpreted at the literal and superficial level or what he sometimes referred to as external Islam. Throughout his lifetime he displayed a consistency in thoughts and actions few can imagine. By this, he was able to win the trust and confidence of Muslims and people of other faiths around the world, both Arabs and non-Arabs, youths and his elder contemporaries. In essence, he was the quintessential Muslim leader of our time who managed to capture the imagination of the masses, young and old, male and female where ever he went . His over-arching quality as a leader was his deep-rooted attachment and devotion to the last and noble Messenger of Allah – Prophet Muhammad Salalaahu ‘alahi wa Sallam and the manner in which he exemplified the sunnah (prophetic traditions) was indeed refreshing and graceful at all times. One can say his charisma was in fact a manifestation of his love and emulation of the Prophet of Allah Salalaahu ‘alahi wa Sallam. Akhlaq (beautiful morals) and aql (astute wisdom) were the hallmark of his Islamic character. 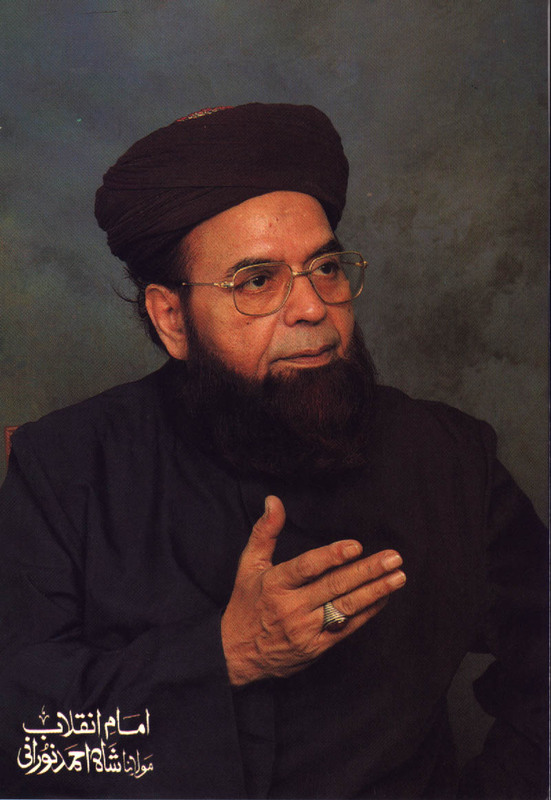 He was the son of Mubaligh-e-Azam Maulana Abdul Aleem Siddiqui RA. Being a descendant of Syedinna Hazrat Abu Bakr Siddiqui RA, he bore the marks of his blessed forefathers which is, undoubtedly a living mu’ijizah (miracle) of Syedinna Rasoolulaah Salalaahu ‘alahi wa Sallam derived from the event of al-Hijra. is known to be addictive. His wife is from the holy city of Madina and the language of his household is Arabic. They were blessed with two daughters and two sons. this office continuously for eleven years and worked for unity of Muslim brotherhood amongst all Muslim nations. Maulana Shah Ahmad Noorani was an ardent lover and drank deeply from the monumental writings of Imam Ahmad Raza Khan RA, affectionately known as Ala Hazrat by the Sunni masses. He and other ‘ulama worked to bring to light the importance of Ala Hazrat’s contribution to Islam in the twentieth century. He always maintained that had it not been for the single-handed effort of Ala Hazrat RA, especially for his twenty seven volumes of fatawa (Islamic Rulings) in the form ofFatawa-Rizwiyya and his tafsir Kanzul Iman, Sunni Islam as we know it today could have disappeared. Not only has the contribution of Ala Hazrat ensured that Hanafi Jurisprudence remained intact as the legal framework for such countries such as Lebanon, Turkey, Paksitan and India in the context of the twentieth century, but also the body of knowledge he re-interpreted in the revisionist context he found himself in, was used and is still being used to counter the forces which are intent in eradicatingth e spiritual dimension of Islam by an attempt to re-writing the very history of Islam. The contribution of Ala Hazrat RA, Maulana Noorani argued, effectively checked the tide of recently concocted ideologies in the form of Wahabism, Deobandism, and Qadianism. Maulana Noorani spent a good portion of his scholarly life promoting Ala Hazrat as the mujaddid (Muslim Reviver) of the 13th Islamic century. In particular, due to his leadership he was able to influence two generations of Muslim scholars to appreciate the full impact of Ala Hazrat’s thoughts and writings. Maulana Noorani RA will always be remembered to exemplify without pretence and awkwardness, the sunnah of the Holy Prophet SAW in both his inner and outer character. He was thus able to demonstrate the relevance of the Prophetic traditions in the modern age. He displayed a rare form of unselfish purpose possessed by few leaders of his time. His very existence has been a pre-occupation with the issue of unity of Ummat-e-Muhammadiyya. He argued that the excellence of Muslims over other nations can only be based on the fact that the Muslim ummah has the perfect role model – Prophet Muhammad SAW. However, the status of the Muslim nation plummeted only because it allowed others to divide itself into tribes, secular ideologies and nationalities. He was convinced and proved on many occasions that, whenever Muslims leave aside their differences and united; Islam takes on a different dimension and becomes an unstoppable phenomenon with unimaginable potential. Maulana Noorani maintained that Muslim unity is the essence of the Muslim struggle at both an individual and at the global level.His influence permeated higher seats of learning in every continent. He taught subjects ranging from economics to fiqh (Islamic Jurisprudence) and from political science to tasawwuf. In his teachings, whether addressing scholars or laymen – the underlying reality of his reasoning wasalways guided by an undying and uncompromising love for the Holy Prophet SAW. Driven by such devotion to the Holy Prophet SAW he argued that leaders will try but they will not be able to establish “Nizam-e-Mustafa” or the ‘Order of Mustafa SAW’ without a true attachment to the Beloved Prophet SAW. As a statesman Maulana Shah Ahmad Noorani Siddiqui counseled leaders both Arabs and non-Arabs to foster greater co-operation between Muslim countries. He worked tirelessly toconnect Muslim leaders, visionaries and scientists in order to facilitate the expansion of Islamically motivated ventures at both the national and global levels. The greatest challenge, he believed, wasto harness the resources of Muslim nations to benefit Muslims worldwide. Maulana Shah Ahmad Noorani Siddiqui held on the principle of democracy as the process for Islamic nationhood. In so far that he was willing to pay a personal price for this. He was jailed several times by a number of political dictators for his outspoken stance against illegitimate dictatorship regimes in Pakistan and elsewhere in the Muslim world. He believed, like the early Muslims who elected the first caliph Sayyidina Abu Bakr Siddiqui RA by a democratic process, Muslims today should have similar rights to elect their political representatives. As a statesman, Maulana Shah Ahmad Noorani Siddiqui excelled in the field of diplomacy in bringing about world peace. In 1988 at the United Nations headquarters in New York, with otherworld leaders, he successfully brokered a peace pact to help end the bloody Iran-Iraq war which took the lives of over 1,000,000 Muslims. In terms of Islaimic spirituality, Maulana Shah Ahmad Noorani Siddiqui received khilafat of the Qadiriyya and Chistiyya sufi orders from his father Maulana Abdul Aleem Siddiqui RA. 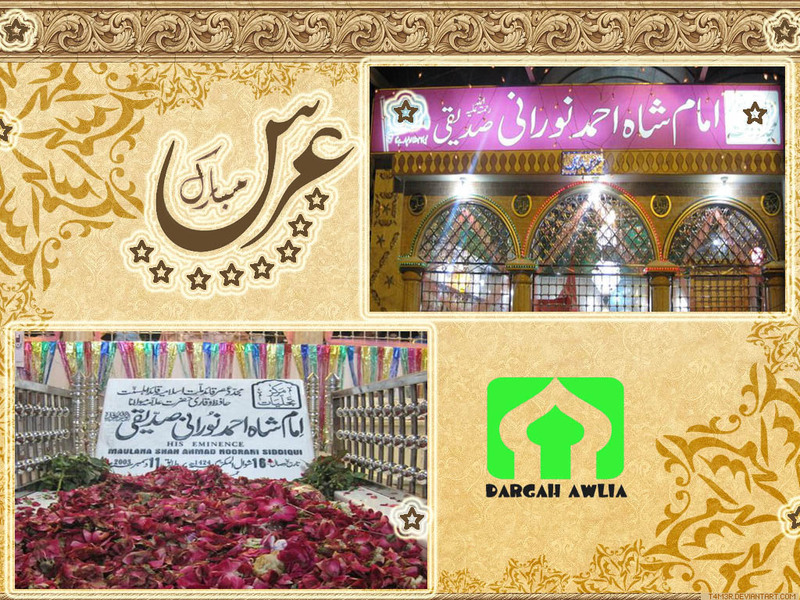 He also received ijaza from other tariqah including Naqshbandiyya, Shadhiliyya, Soharwardiyy and Rifa’i. Through his travels worldwide for over fifty-five years he initiated more than 600,000 mureeds (spiritual disciples) to Tariqat-ul-Qadiriyya. Amongst them we find today political leaders, Muslim scholars, professionals, and hundreds of thousand ordinary Muslims whose practice of Islam is based on following the commands of Allah Subhanahu wa Tala through the endearing love and attachment to Syed-ul-Alameen Muhammad-ur-Rasoolulaah Salalaahu ‘alahi wa Sallam, khulafa Rashideed, Syedinna Ghawth-al-‘Azam Shaikh Abdul Qadir Jilani RA and the Awliya(pious saints of Islam).